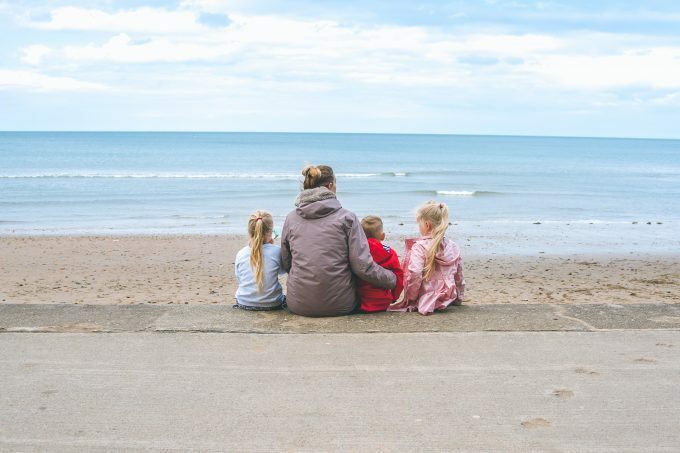 One of our favourite things to do as a family is to visit the beach, be that on sunny days or during the depths of Winter, and, with Britains beautiful coastline, we are spoilt for choice. 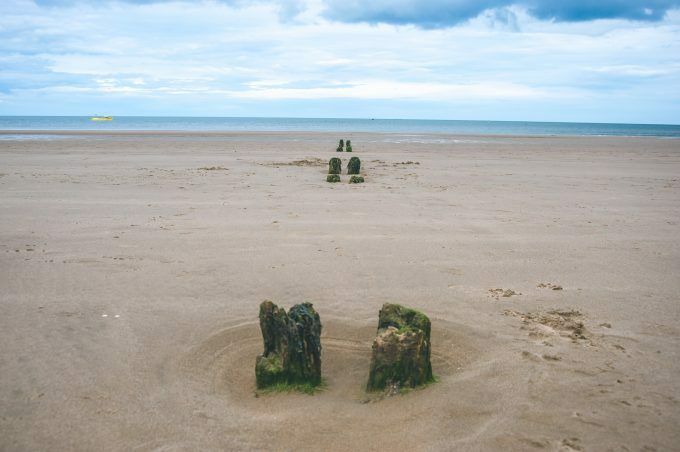 And whilst the South of England is well-noted for its sandy bays and clear blue waters, living in the North we have many hidden treasures of our own. 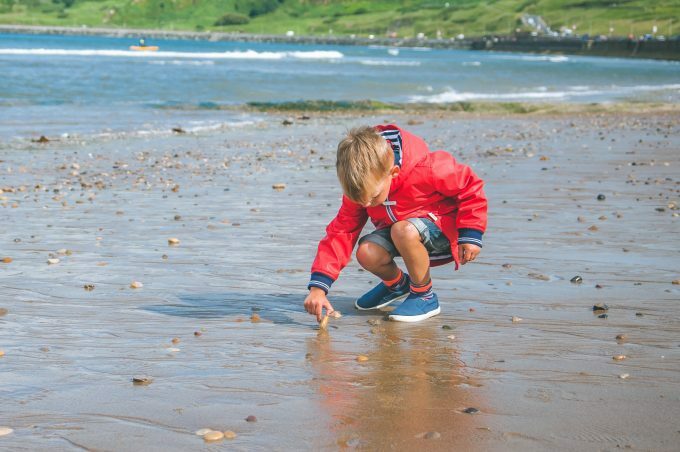 Recently we have been working with Parkdean Resorts on their Coastal Adventures campaign to showcase our beautiful British coastline and to share some of the amazing places to visit near their resorts. 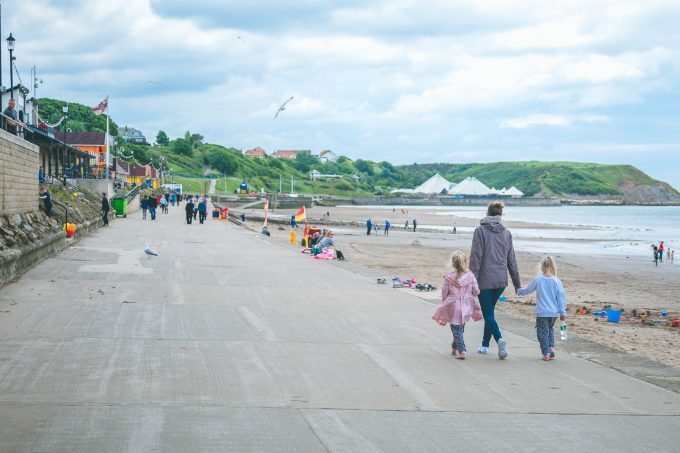 Last weekend we travelled to Scarborough where we spent two blissful days exploring the coast, just a short drive from the Cayton Bay Holiday Park . 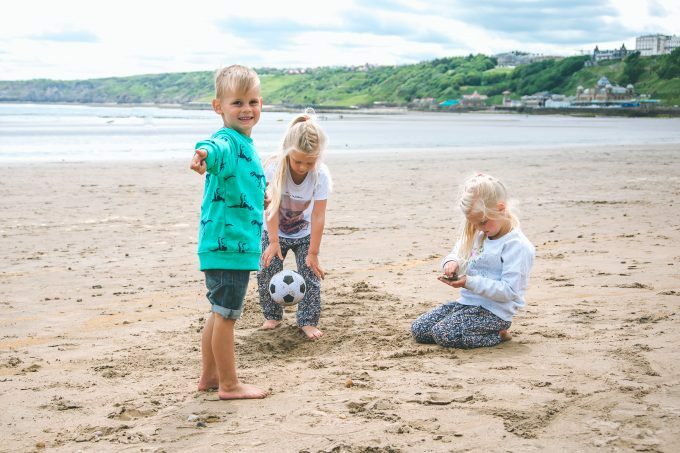 We have had countless family holidays in Yorkshire over the years, enjoying days in and around Scarborough and taking in the most breathtaking views, and so we were so excited to return with the children to find some new adventures and create some lasting memories. 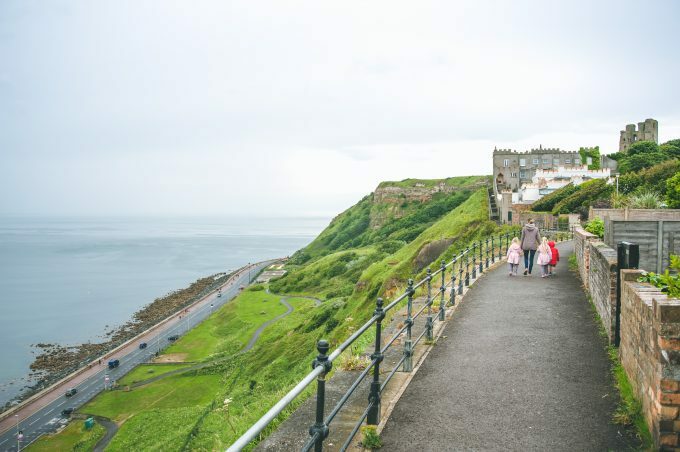 Scarborough is a resort town on England’s North Sea coast, and it’s one of our favourite places to visit. 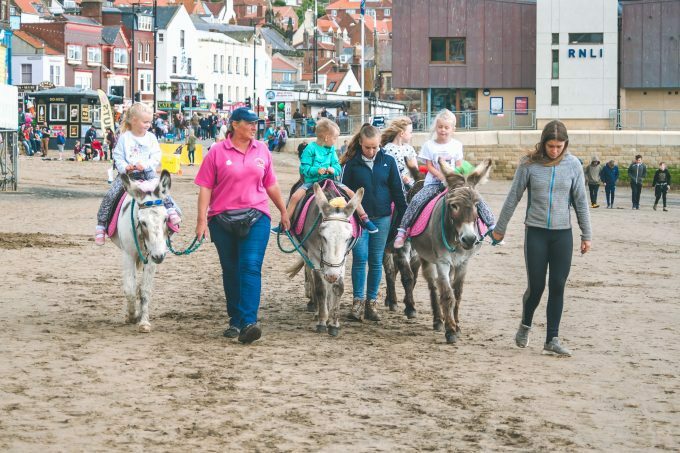 With two bays, split by a heading bearing the 12th-century Scarborough Castle, it features a busy harbour, a bustling seaside town, and a whole lot of fun. 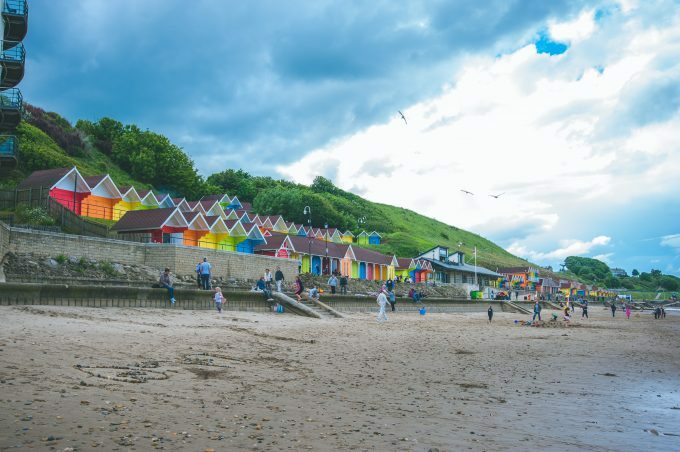 The North Bay is, in my opinion, the more beautiful of the two beaches, with rainbow coloured beach huts set back behind the Esplanade. 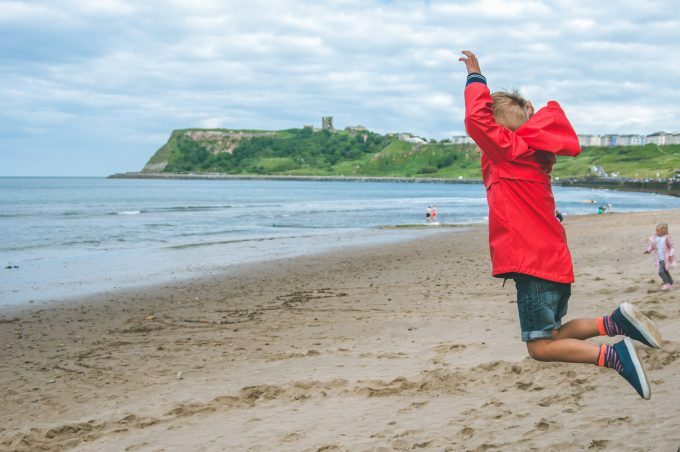 It has a distinctly wilder feel than the more commercialised South Bay area but still boasts Blue Flag status and the perfect location to explore. My favourite thing about North Bay is that it is far less crowded than the South Bay, even throughout the Summer months. 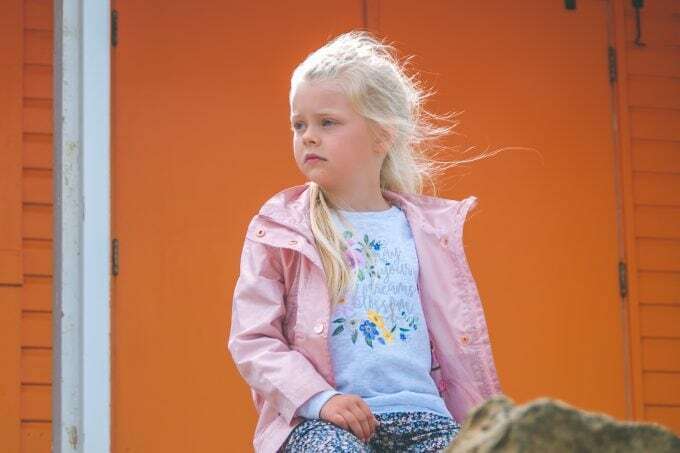 After so much beautiful weather last month we were quite unlucky with the weather as, although it was dry, it definitely felt a little cooler than it has done! 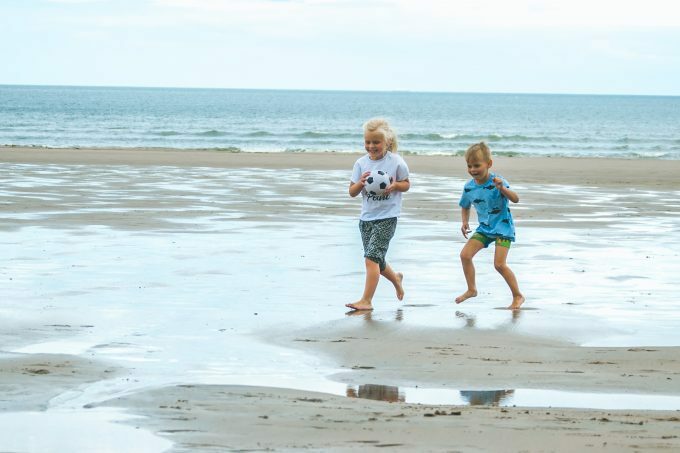 I guess the great thing about the beach is that the children are happy, regardless of the weather, as long as there is sand to play in and pebbles to skim! 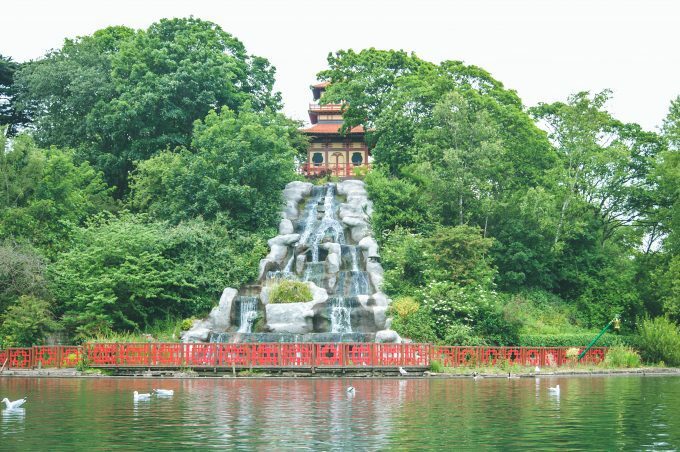 Located just behind North Bay, Peasholm Park is an oriental themed municipal park which is both historic and uniquely beautiful. 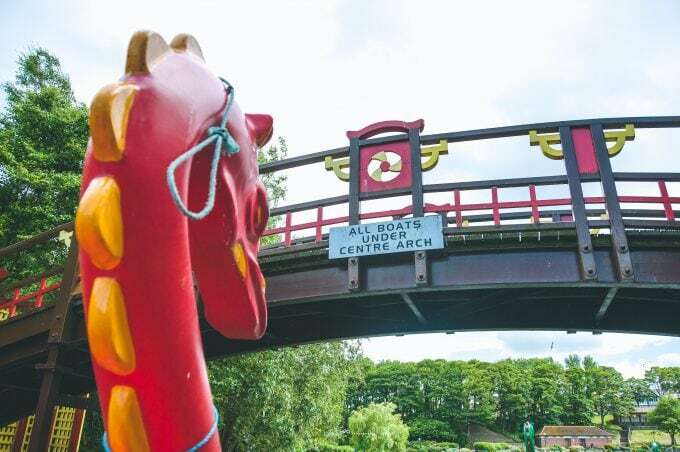 Although it’s a stunning park to wander around, the children’s favourite thing to do is to hire a boat on the lake, even more so when it’s in the form of a dragon! 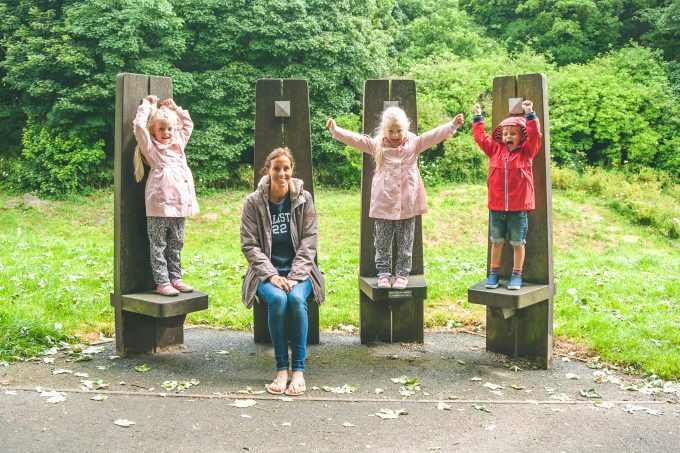 Peasholm Park has such a calming feel, despite its popularity, and you could easily spend an entire day enjoying a picnic and a game of football, and in previous years we have! 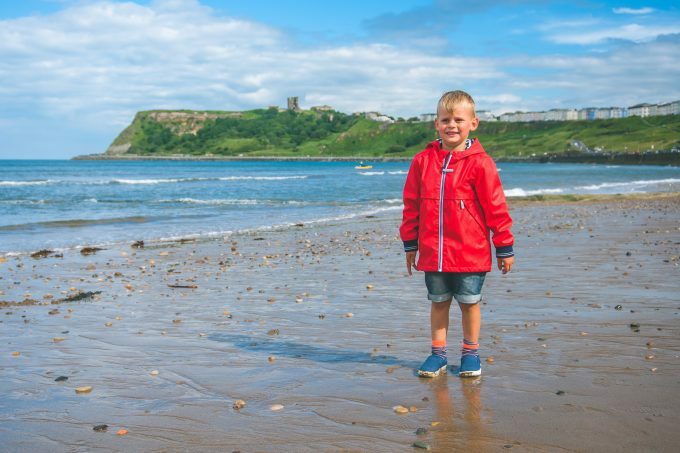 We love to walk from North Bay to South Bay, along the public footpaths winding in and around the cliff tops, which takes around twenty minutes. 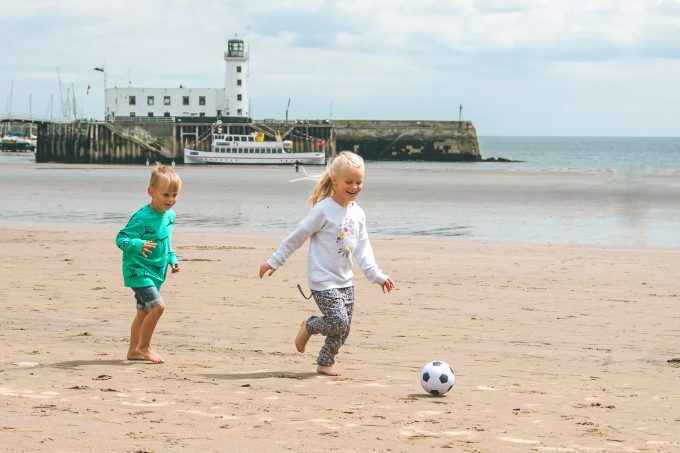 You can walk right by the castle, stopping off at a fun playground in the castle walls, coming out at the harbour right by the South Bay and minutes from the town centre. 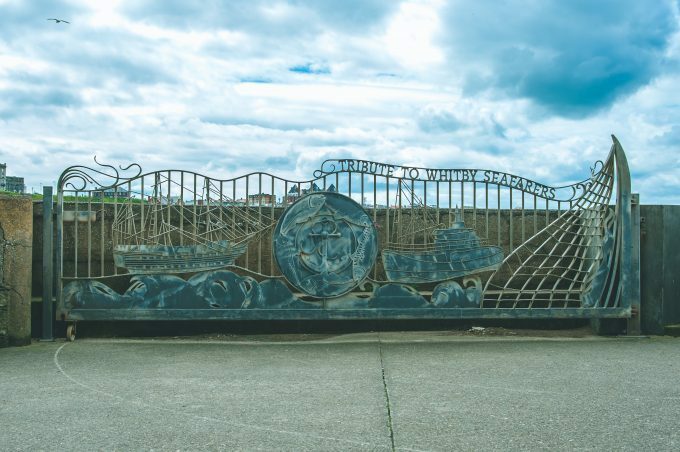 South Bay is very much a typical seaside town with everything you would expect from a day at the seaside. 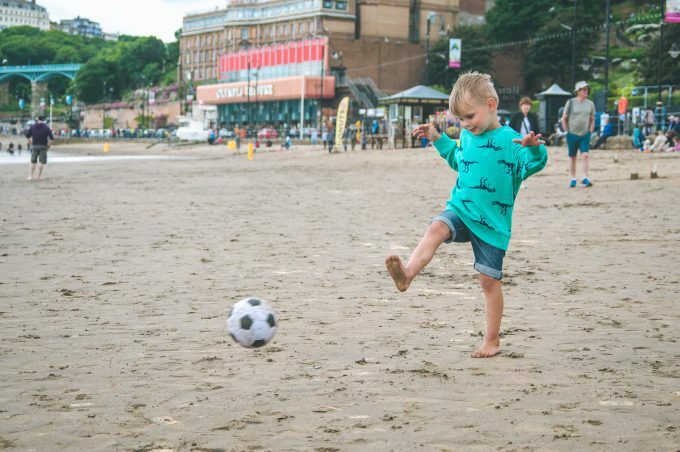 There’s fish and chip shops on every corner, donkeys and ice creams, a fun fair, amusement arcades and indoor bowling, fronted by a beautiful sandy beach. 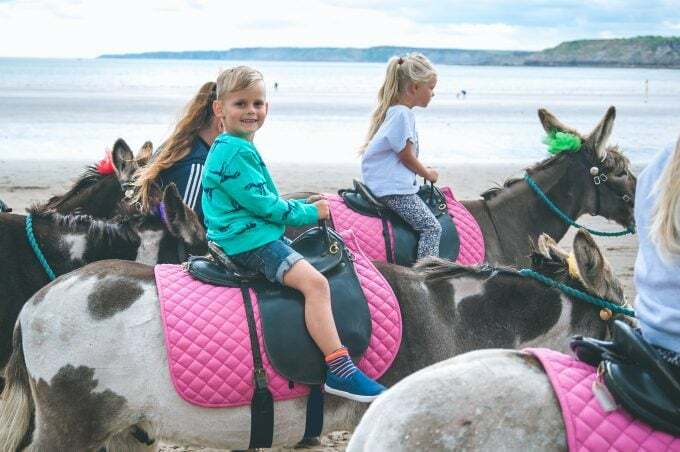 According to my children, a good day at the beach is never complete without a donkey ride, and you will always find the donkeys at South Bay! 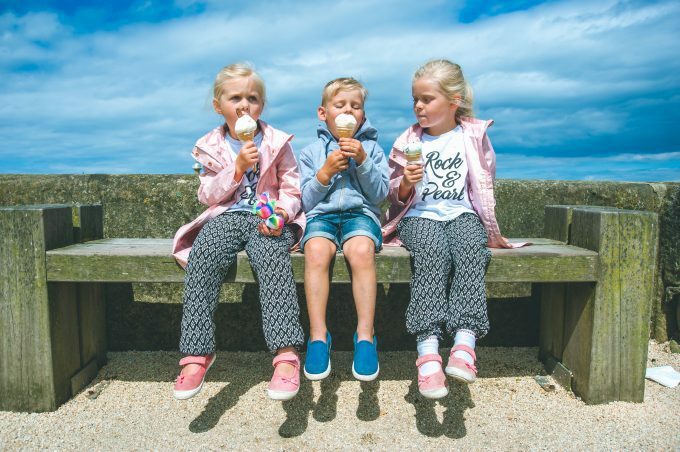 And according to me, a good day at the beach is never complete without an ice cream!! 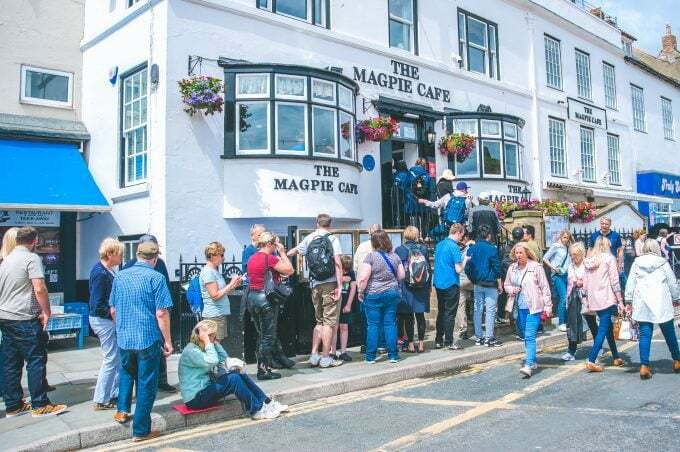 It was the perfect ending to our day in Scarborough and, having walked a whopping ten miles on our first day, we were all ready for an early night ready for a new adventure the following day. 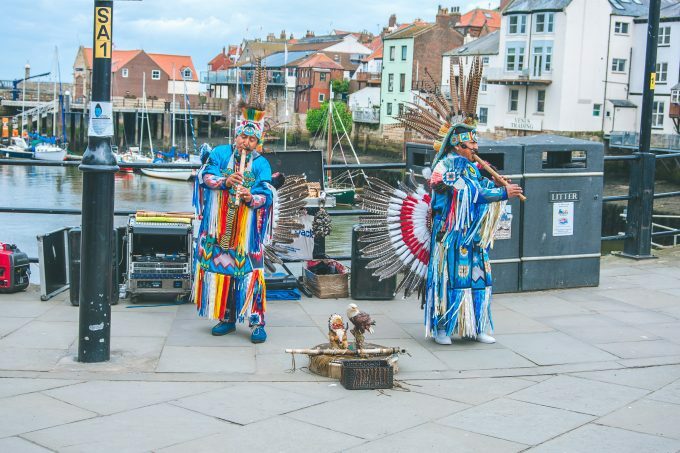 After an amazing day in Scarborough we decided to travel up to Whitby the following day. 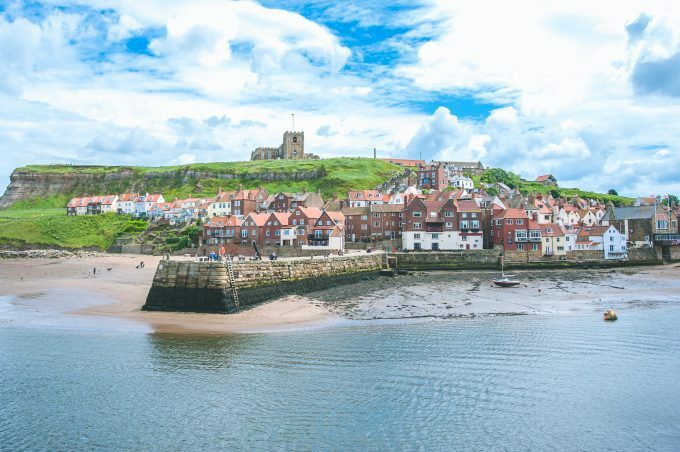 Whitby is a seaside town over looking the North Sea, with Whitby Abbey (inspiration for Bram Stoker’s Dracula! ), the Church of St.Mary, The Captain Cook Memorial Museum and the most beautiful beaches. Plus it has to be said, there is nowhere else in the UK that makes fish and chips quite as good as Whitby!! 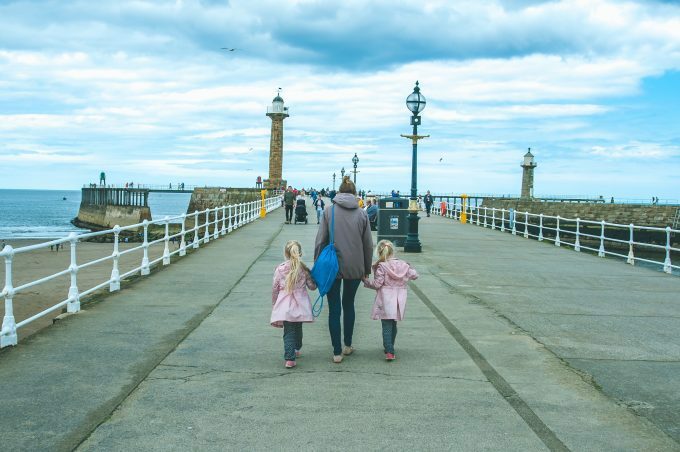 No matter what the weather, Whitby is always busy! 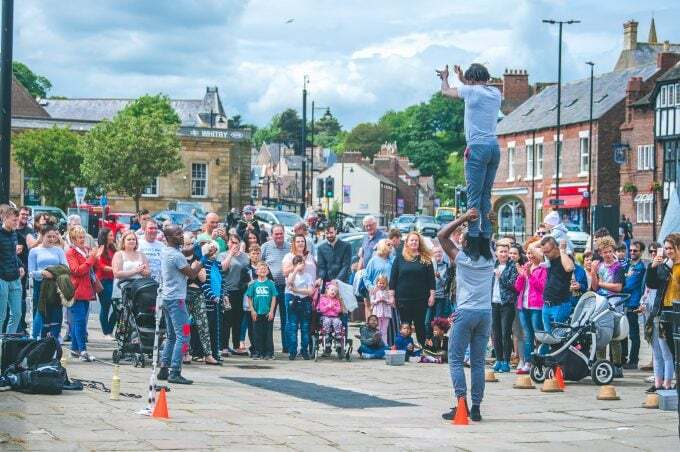 Although the town itself isn’t overly large, there is always so much to see and do within the town, as well as countless amazing places to eat or have a few drinks. 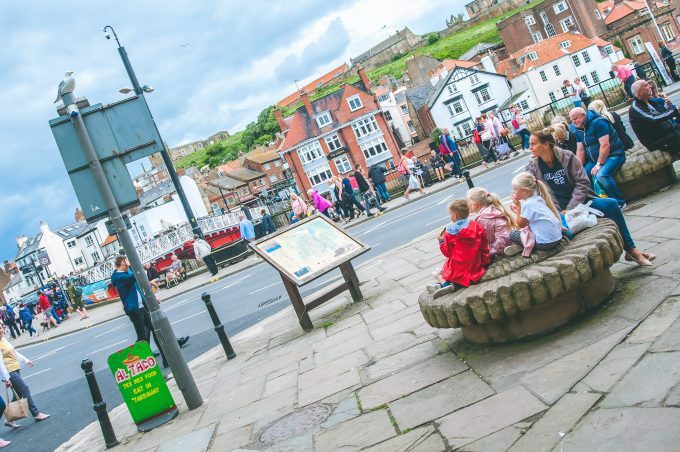 Be warned, Whitby is swarming with seagulls and they really are sneaky! 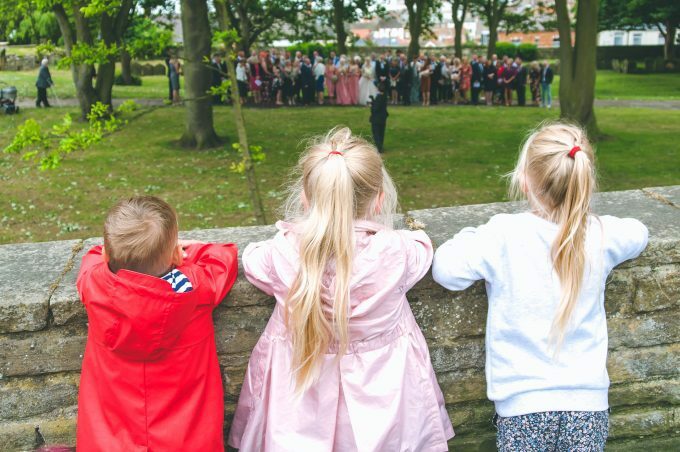 You need eyes in the back of your head if you decide to eat outdoors, although the children thought it was hilarious seeing them swoop down and steal someone’s dinner! 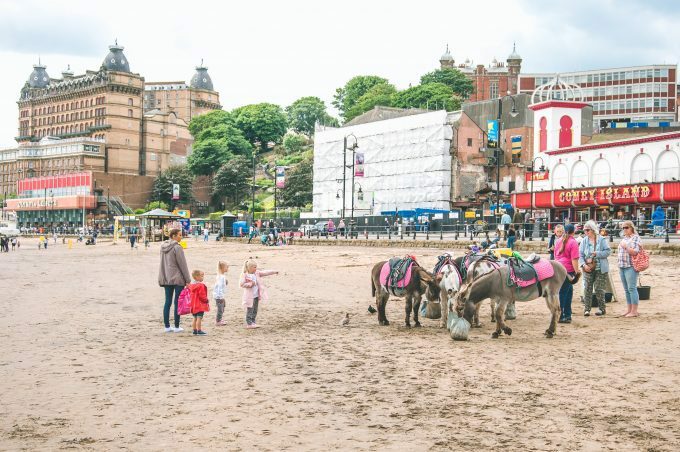 Whitby Beach is very popular, especially during the summer months, and although you will find donkeys and ice creams, and countless fish and chip shops surrounding the area, it still feels less commercial than Scarborough. 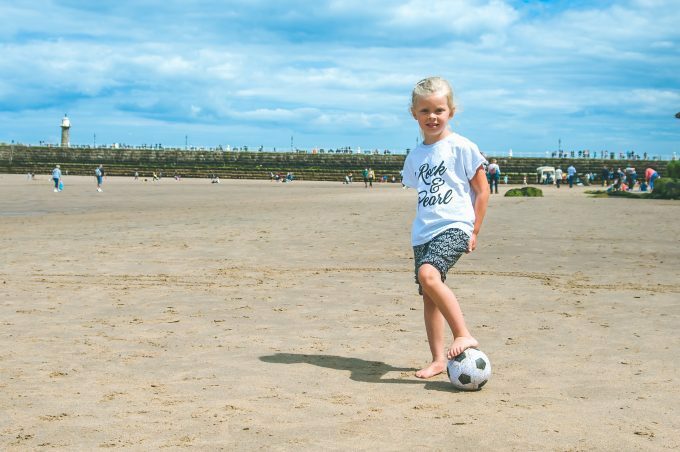 With views out to sea, right beside the piers, it’s a gorgeous place to set up camp for the day! 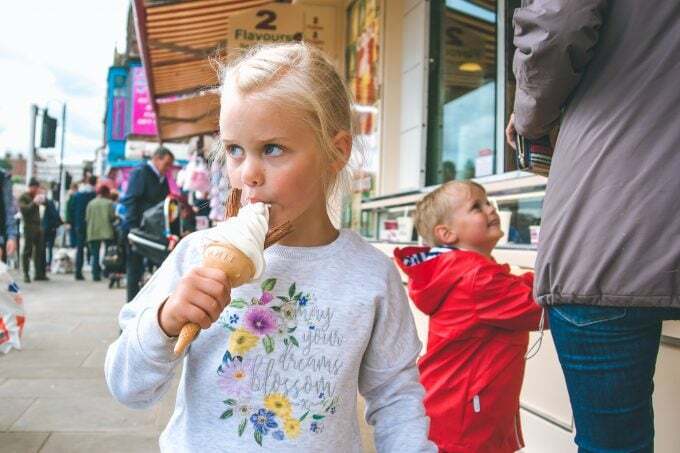 The children love sitting watching the boats go by, leaving or coming into the harbour, and waving at the passengers who take day trips out to sea. 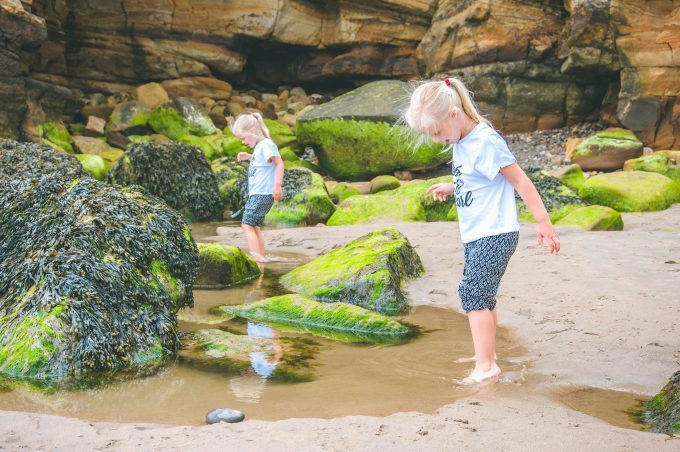 Whitby beach is also great for exploring, with rock pools galore and hidden caves in and around the cliffs. 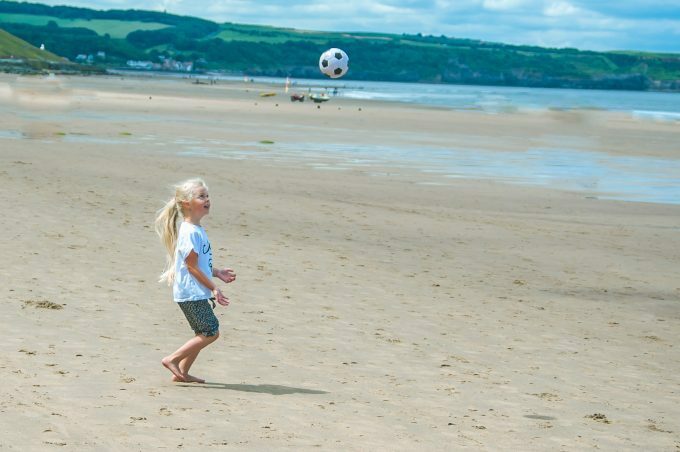 There is also lots of open space for a game of football and, even on a busy day, if you walk a little further away from the piers, you can have a huge section of the beach to yourself to play. 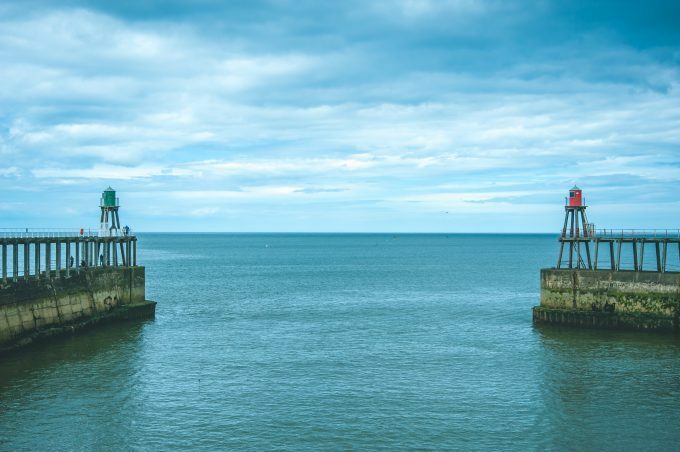 Whitby has two piers (East and West) and can be found at the mouth of the River Esk. 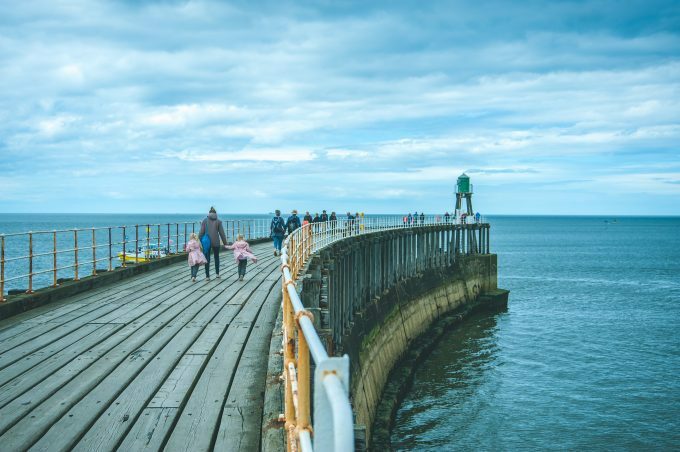 The piers are hugely popular by locals and visitors, from across the UK and even worldwide. 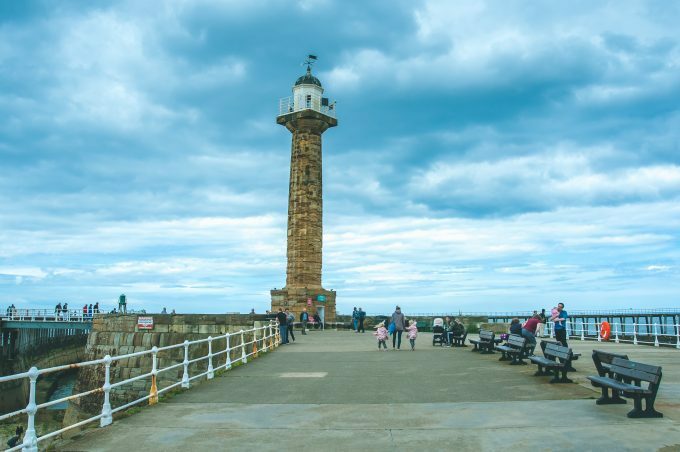 Dating back to the 1300’s, the piers hold such historic value and are a real central point for Whitby, and a hub of activity as a result. At the end of the piers are the light houses, dating back to the 1800’s, that you can pay to go up and look out at the top. Past the light houses are the pier extensions which go further out into the sea and although we started to walk out to the end, Megan got a little nervous as the cracks between the floorboards are really quite wide, and we quickly hurried back! 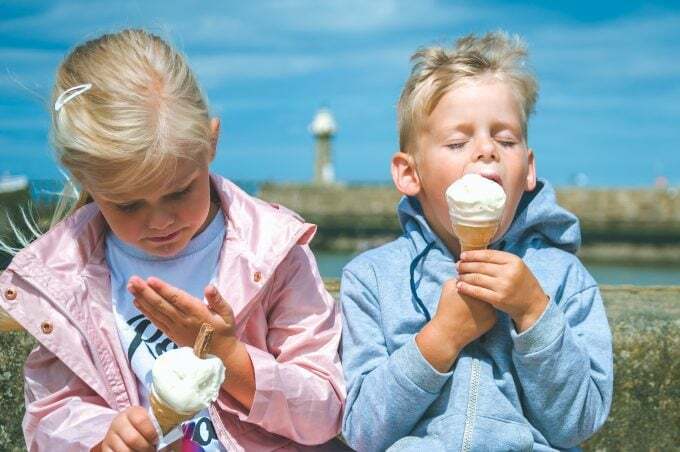 After two amazing days in Yorkshire we finished off our weekend with another ice cream, sat in the sunshine by the harbour, and the looks of happiness on the children faces spoke volumes. 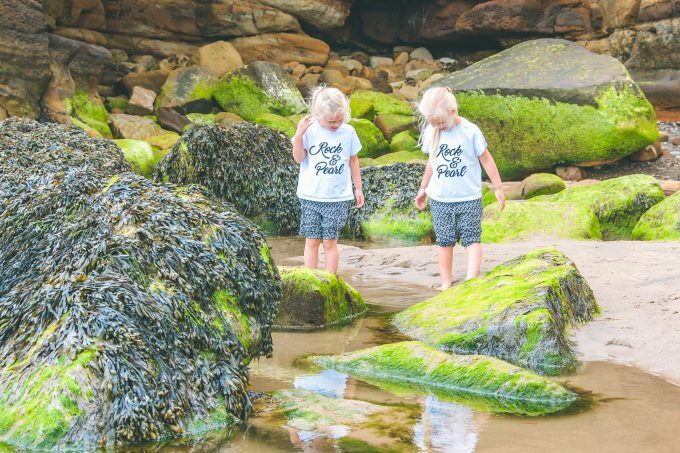 We had the best time creating our own coastal adventures, and making memories together as a family. 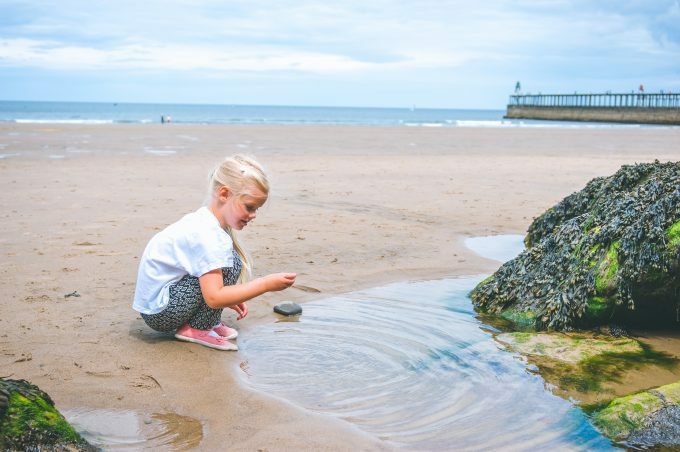 I consider ourselves so lucky to live just two hours from the Yorkshire coast, and indeed to be surrounded by such beautiful coastlines throughout the UK, and I can’t wait to see where our next adventure takes us! 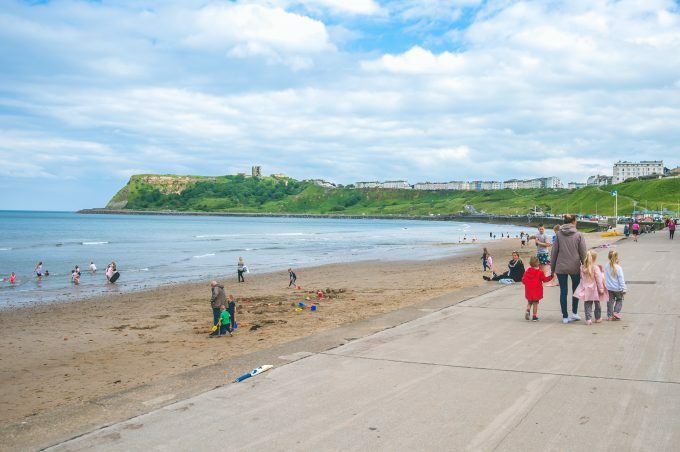 We tend to visit Scarborough every year as it’s just a 2 hour drive from where we live. 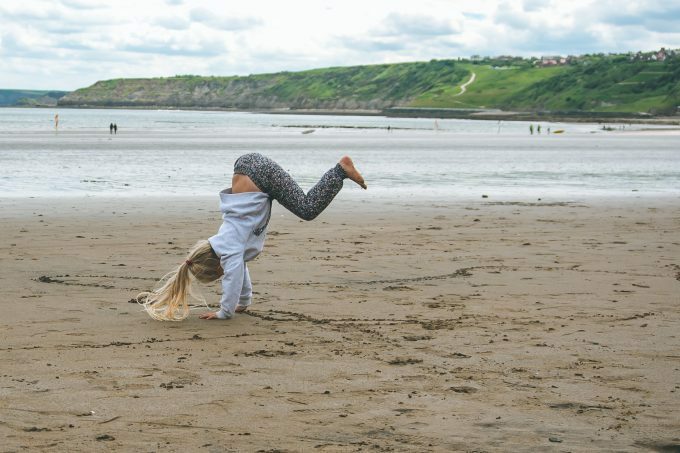 We’ve always opted to stay in the Haven sites so I have yet to try Cayton Bay. I completely agree about the North Bay. I MUCH prefer this end to the South Bay. 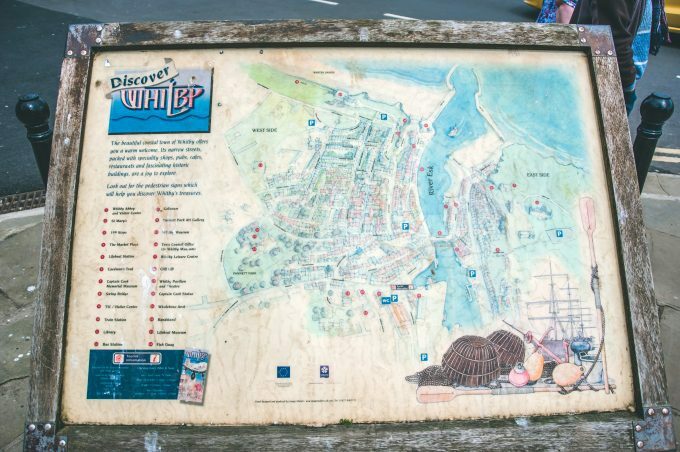 We did a treasure trail around the town in March and walked from the North Bay up to the Castle, to the South Bay and back again. The views were perfect! wow how fun does this look esp for your little ones! mine adore the coast too! I love Yorkshire but we normally go to Haworth or Pendle area! Loved reading this and the photos are just amazing! I think I’ll need to upgrade my iPhone soon I’m well envious of the gorgeous pics! Holy wow! It is SO beautiful there! That’s the kind of place my family and I could enjoy for days. 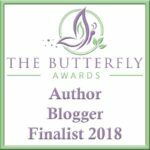 There’s so much to do! Great pictures – I love the colors! So colorful. I’ve only been to England once, to London, and it was in 2009 … hoping to return someday. 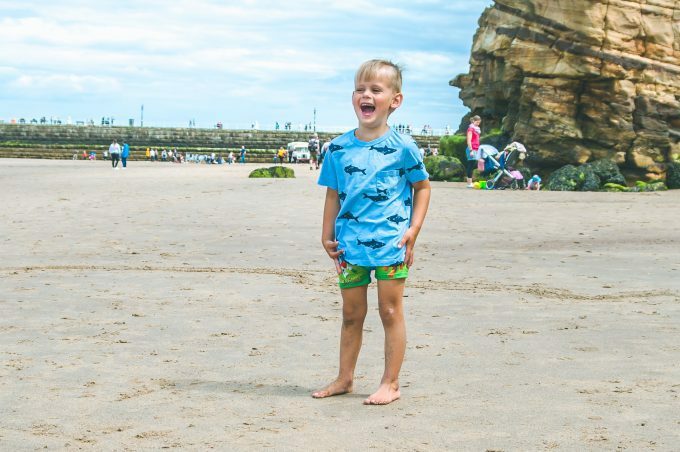 How fun are the rainbow beach huts though? 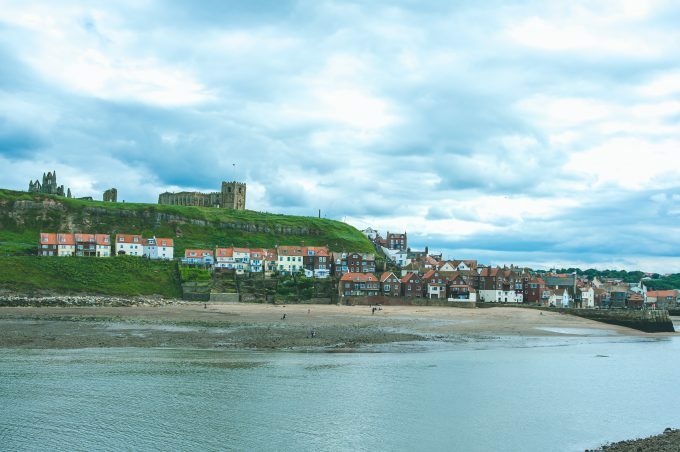 And I love that the Yorkshire coast is not only beautiful but is also surrounded by amazing history and culture. 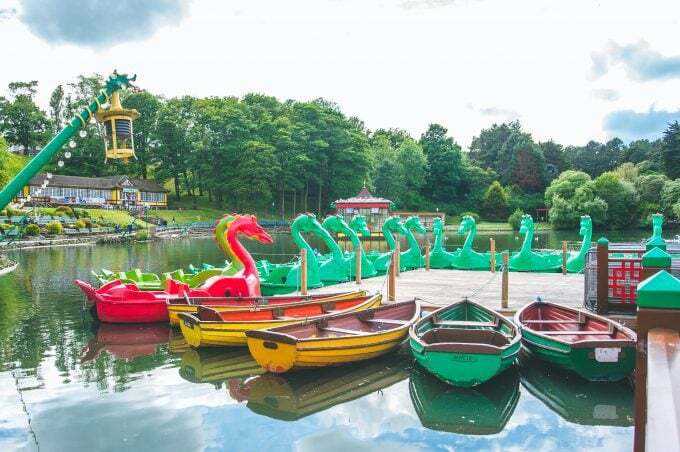 Also I quite fancy a ride in the dragon boat not going to lie! 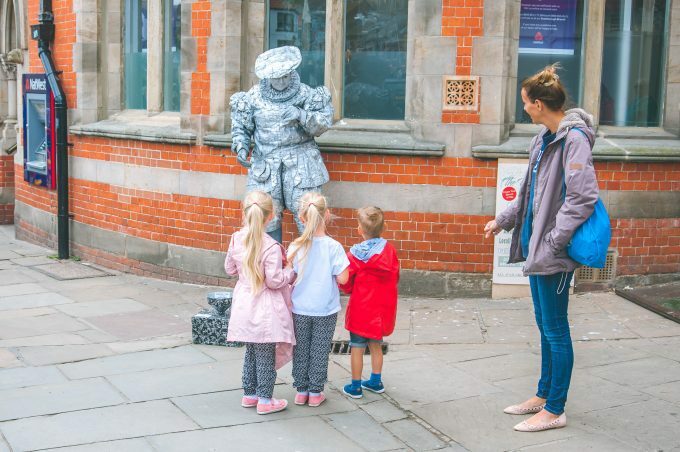 England is such a fabulous place to visit. I’ve been their twice, but only to London. 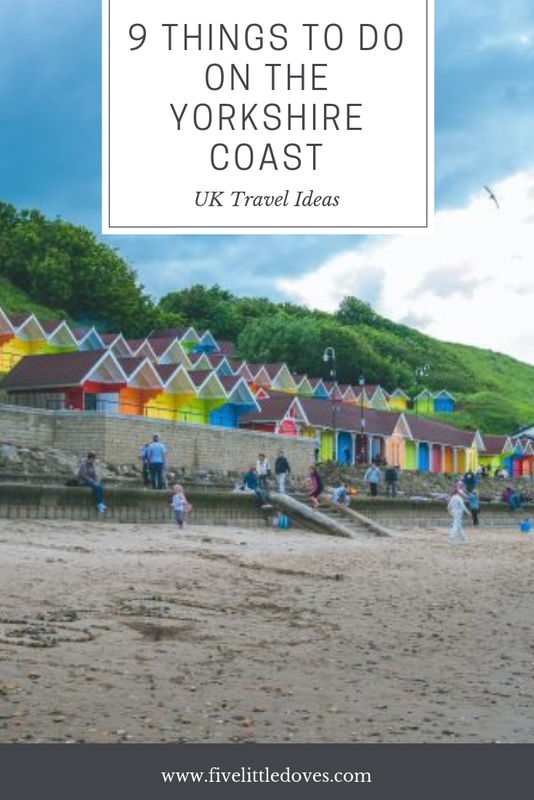 Next trip I am going to be sure to visit the Yorkshire coast! There looks like a ton of history and culture to explore as well as those beautiful rainbow houses to see! Love the colorful beach huts. Do you rent them for the day? 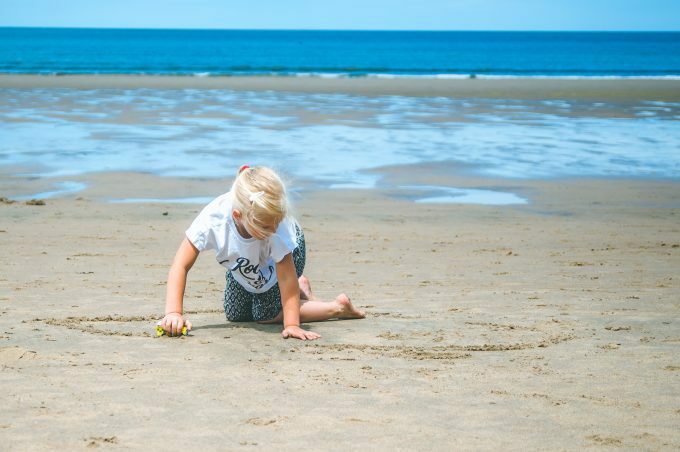 What a beautiful choices of two lovely beach-side areas to visit with your children. Reading through your post, I got the feel of the ambiance and the photos certainly showed how it must be popular. 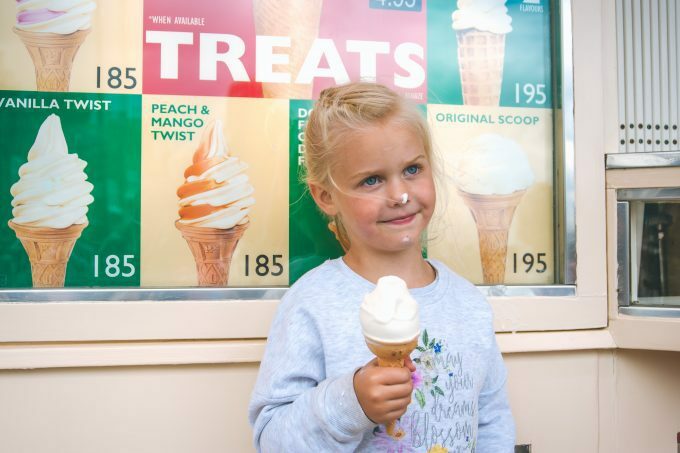 Summer is a great time to make such memories and of course, not forgetting the ice cream! What a gorgeous place! I would love to go there one day. This all looks so lovely. My brother in law and his family live in England. It makes me wonder if this is what their family trips will be like. How gorgeous! Those colorful beach huts remind me of the ones I saw a few years ago at a different beach. Wow what amazing photos! I do love Yorkshire it’s a beautiful place. 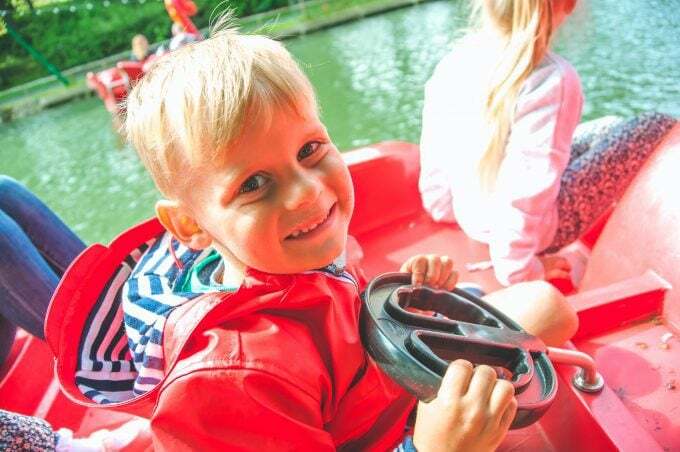 Looks like an amazing weekend trip with your family. 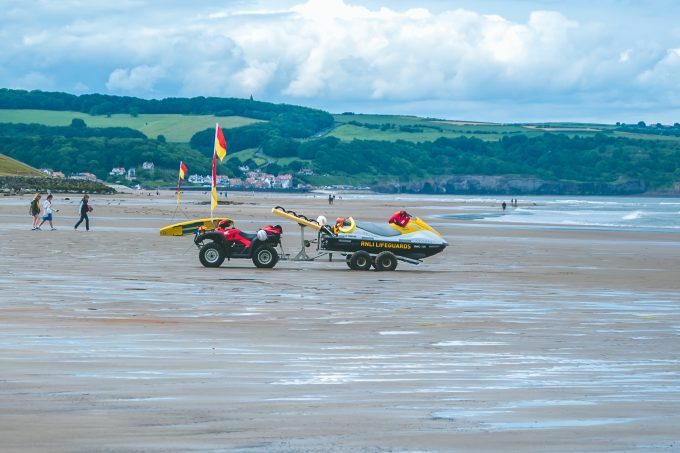 You did an amazing job on the photos and recap at the Yorkshire Coast. Wow, it looks like you had a great trip. We are trying to decide where to go for a UK break over summer. 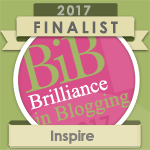 I hadn’t thought of Yorkshire, but maybe I should! 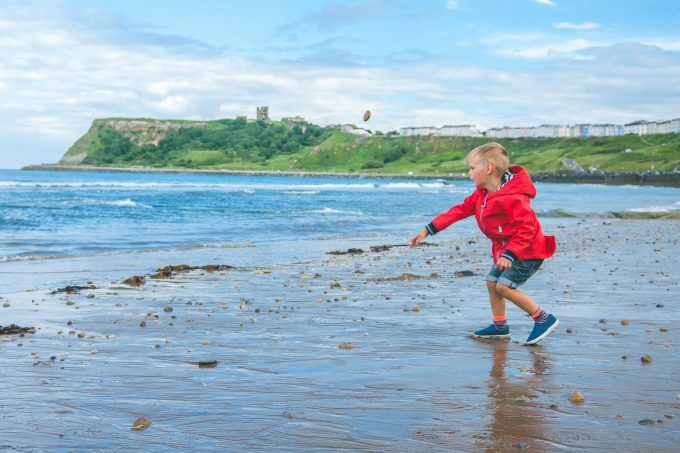 It looks like you had a great time visiting the Yorkshire coast. 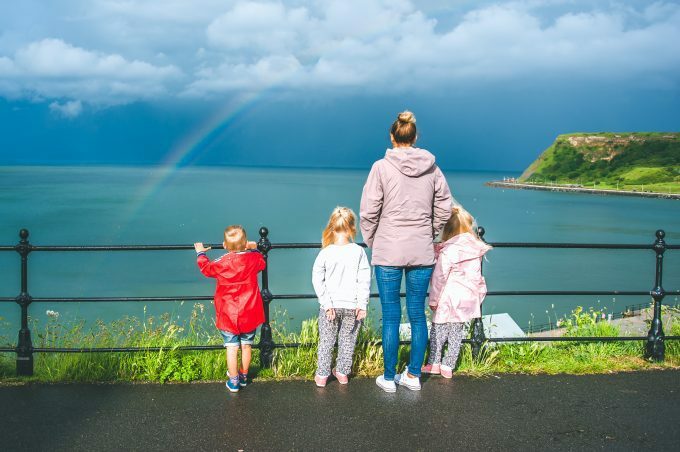 The seaside is enough to make anyone happy in my opinion, even on rainy days! You got some really great photos to cherish too. Really enjoyed looking at all your photos of the places to see in Yorkshire. Your kids looked like they had such a fun time there, totally bookmarking your post. This looks like such a lovely area! All of the colors on the buildings are so cool, and I think I totally want to ride a donkey now lol. It looks like it was such a fun outing! 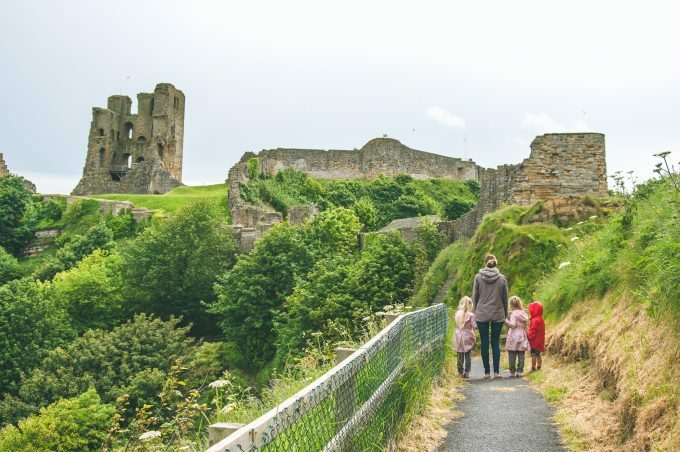 Never been in Yorkshire but it looks like a nice place to visit with family and nice place for a great adventure. We live in the city and it takes a minimum of five hours just to get to the white sand shoreline. So we only get to see beaches once or twice per year. Good for you that you live nearby coastline areas. Enjoy! Wow, you sure know how to live it up there. You guys are having an amazing summer it seems. 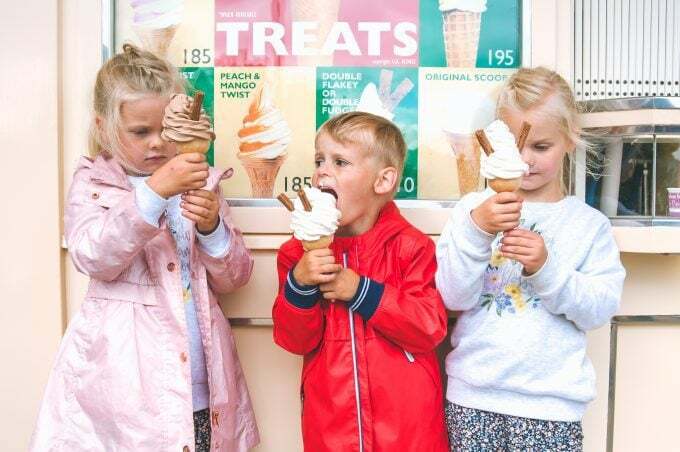 I would love exploring the beaches and coastlines and of course getting ice cream. Oh my! What a great adventure for the whole family! It is nice to take in the sea breeze from time to time. And the scenery is so romantic and beautiful at Yorkshire. 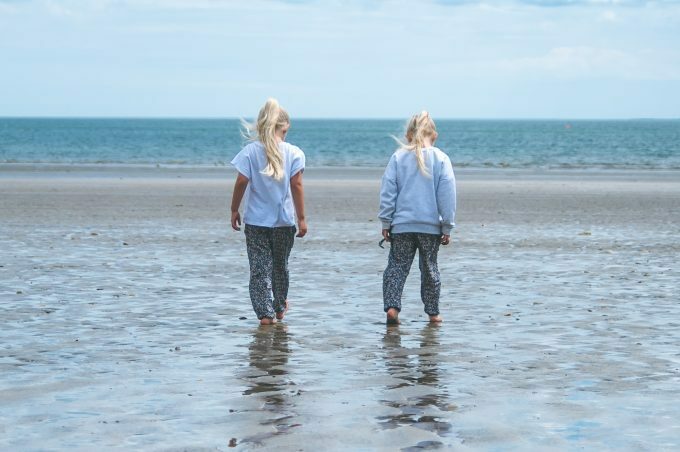 Lovely photos here. I can imagine the fun you all had. Planning our summer vacays and I can’t wait! Wow! You all certainly covered a lot of ground. And it looks like the littles had so much fun. What a great time you all had – and so colorful! Ahh, I love those brightly colored beach huts! I’d also love to explore castle ruins . . . that’s definitely not something we have in North America! This looks like such a pretty place to go and hang out. I love some of those ruins! Oh my goodness! What an amazing place! I could definitely spend a weekend or much longer in such a beautiful setting! 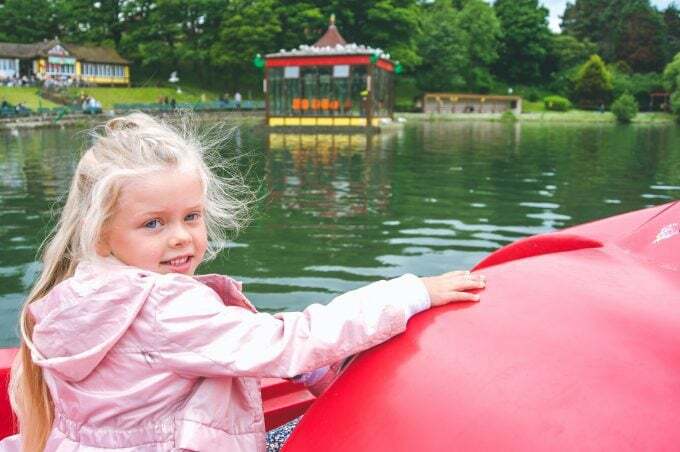 This place is absolutely breathtaking and looks as though it can be a fun spot for all ages. I would love to spend a holiday there with my family. Your photos are beautiful. 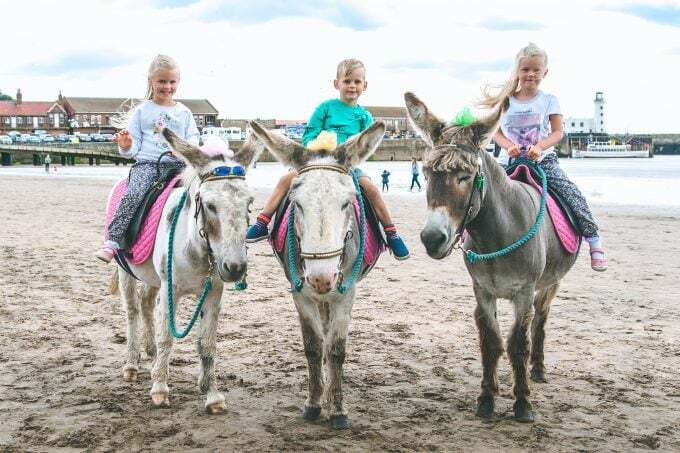 I’m sure that my kids would love a holiday like this! 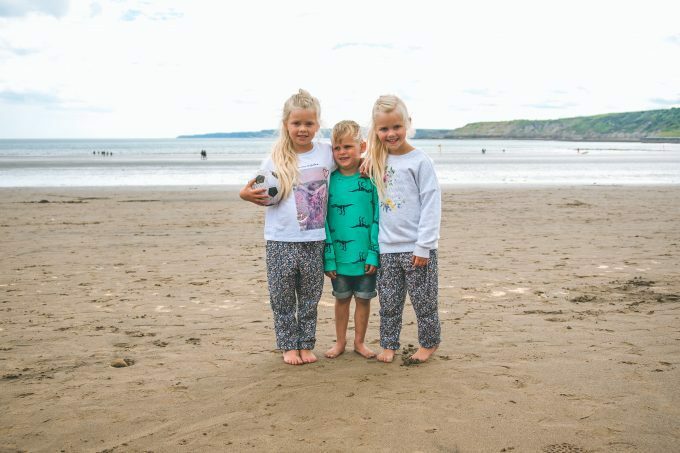 We all love going to the beach and your lovely pics show what a great time you all had! 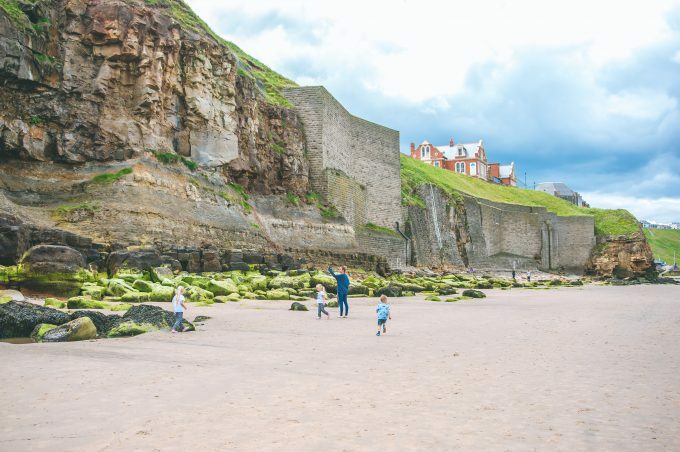 Whitby beach looks like a great place to go exploring, with rock pools and hidden caves. I’ll add all of these places to my list! 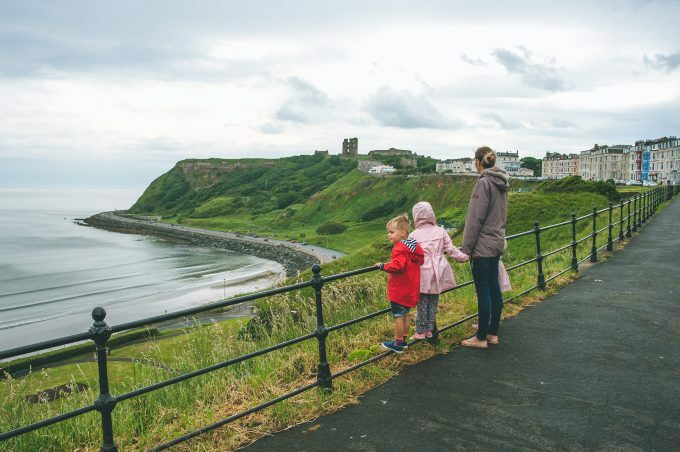 The Yorkshire coast is one of my favourite places – there are so many beautiful places to visit and so may things to see and do. Wow, that was a very comprehensive post, I feel like I know so much about the area! I really like the sound of everything you’ve mentioned, we’d really enjoy the walk around the castle. Living just a 5 minute walk from Southbourne (Bournemouth) beach, we’re rather spoilt. But I am always envious of the terrain and castles up north! I definitely want to visit SCARBOROUGH if I was given the chance. I love that place! What a beautiful place. And your photos are amazing. I would love to walk from North Bay to South Bay too. Love the views! 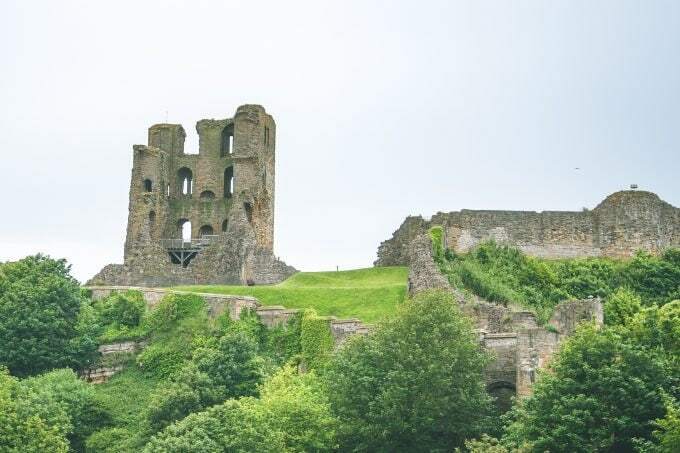 I have such happy memories of Scarborough – Our school trips used to go there in Y5 when we had full freedom of the town! Would never happen these days. I wish we lived nearer to the coast. It all looks so amazing there. I know my daughter and I would love it. I understand why your children love the idea of renting a boat out there. I know I would love that too. I have neve been to England before and would love to visit one day. I have been seriously contemplating getting my passport heading back to my ancestors homelands!! 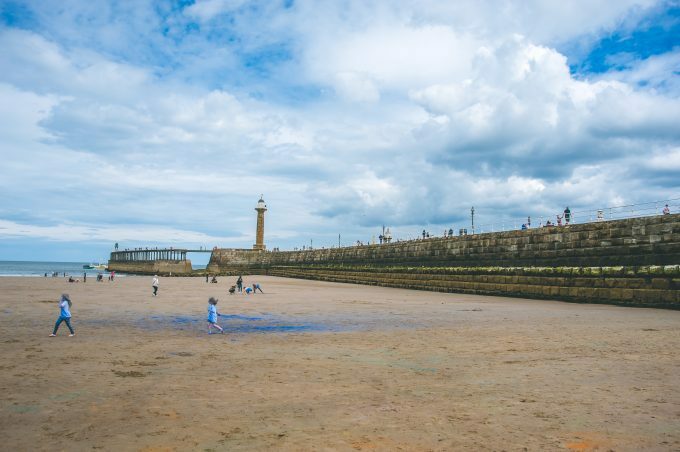 The Yorkshire coast looks like a perfect place to start, I love coastlines and beaches! Of course it sounds like it gets a little colder there then what I’m use to here in Florida…lol! Never been to Yorkshire Coast but they say it is a beautiful place. Planning to visit it soon. 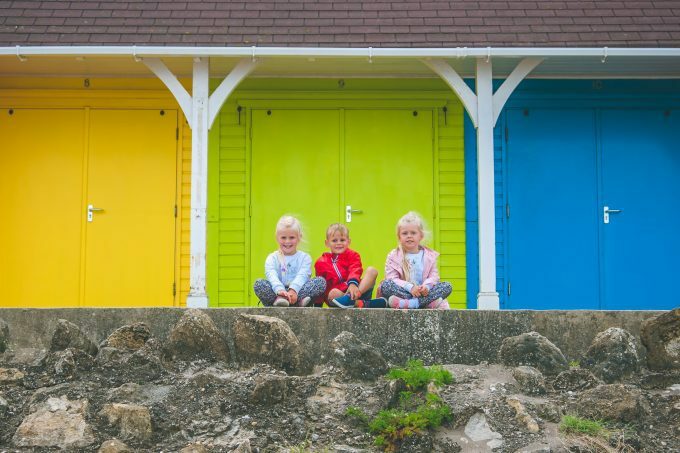 Fantastic colourful photos and I just love them beach huts! 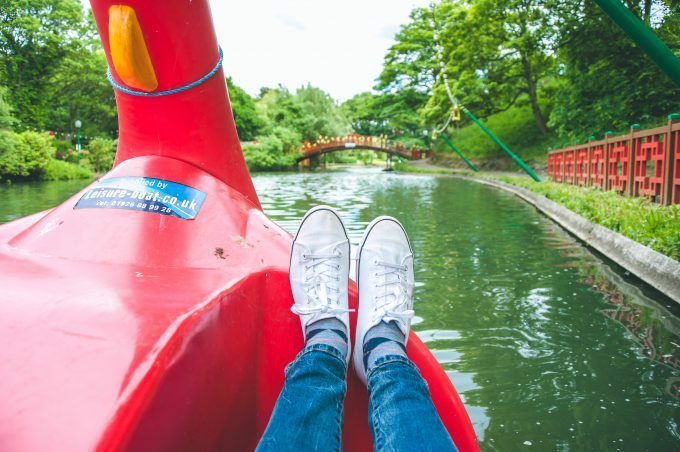 How beautiful is that lake too where you can take a boat ride! 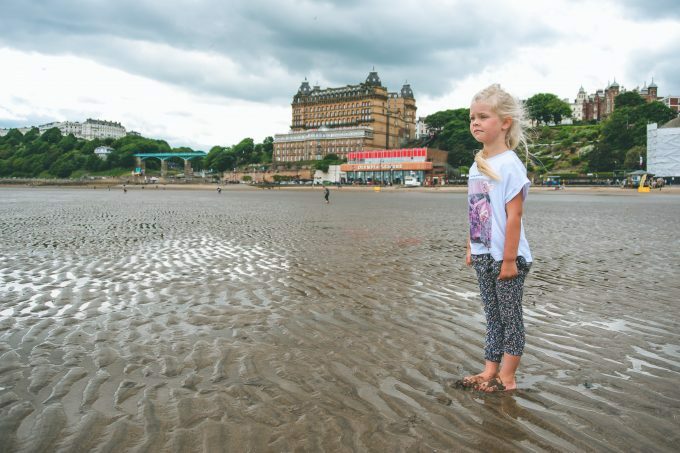 We holidayed in Scarborough a few years ago and absolutely loved it. It’s Such a beautiful place. Those beach just are amazing! Oh your pictures are just so bright and beautiful. 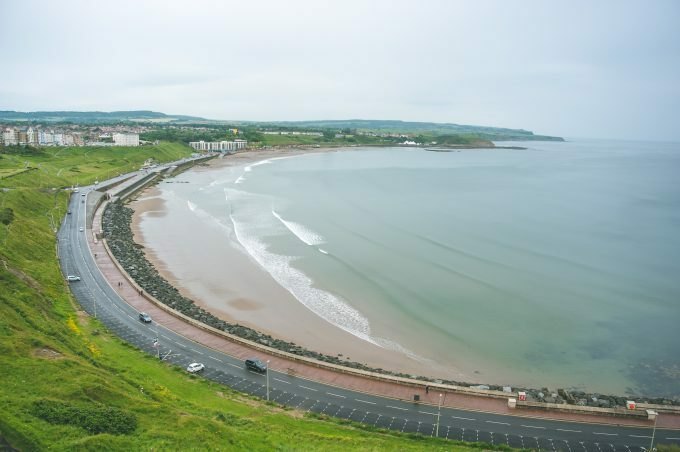 We have visited Scarborough before and it is just beautiful. So many amazing places to visit in our lovely country. 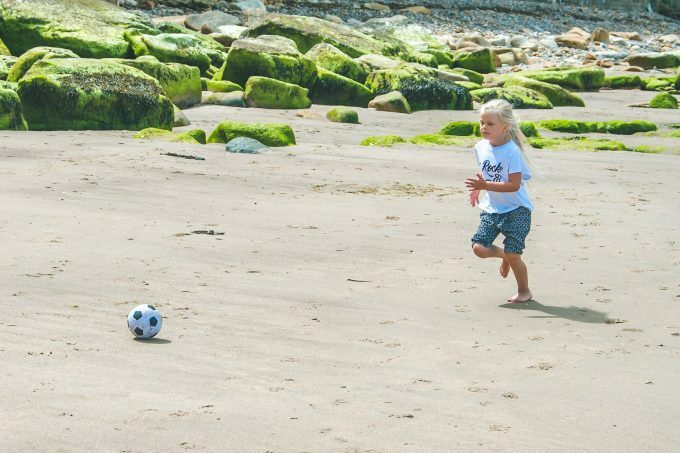 Looks like the kids had a wonderful time playing beach football. 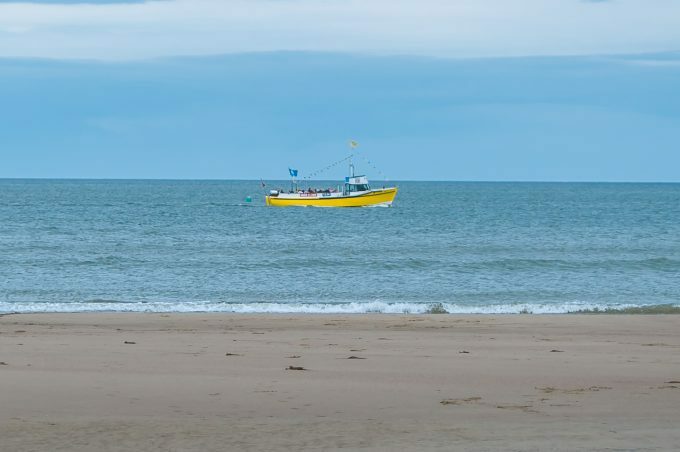 Will try to see if we can take a weekend at Yorkshire coast next month. 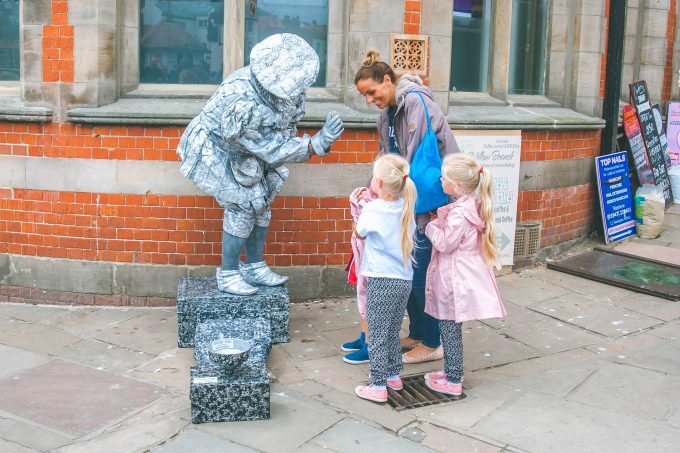 I believe my kids would love this experience too. That sounds a pretty fun, All The images are very beautiful and eye-catching. I hope I would travel to this place once a day and turn my visuals into reality.